The Jewish religious heritage, like any other cultural heritage, is a legacy of physical artefacts and intangible attributes that are inherited from past generations, maintained in the present, and bestowed for the benefit of future generations. The relationship between the physical objects, which often include important artefacts, and their intangible though meaningful attributes, by and large determines the value of the heritage and the need to ensure its sustainability over long periods of time. Insofar as Jewish sacred buildings and sites are concerned, their types are specified as synagogues of various kinds, ritual baths, cemeteries, and funerary ritual buildings. Jewish sacred edifices—when active—feature a composition of movable and immovable objects, interconnected by respective ceremonial roles and bearing manifold cultural meanings. These meanings, expressed in iconic shapes and evocative inscriptions, integrate ceremonial objects and architectural forms into the religious context of Judaism, anchoring and positioning them within the history of the Jewish people. Moreover, objects often bear the names of their donors, commemorating them and their family members, and facilitate recollection during memorial events. All these means contribute to the artistic value of objects: they assemble the movable and immovable objects into a Jewish sacred place and a place of memory. This ensemble is further enriched by documented and legendary narratives, personal and family reminiscences, artistic and photographic depictions, belles lettres, and other forms of reflection. No less important is the role played by Jewish sacred buildings in the European cityscape. All these determine the value of the Jewish cultural heritage and bring forth the need for its protection. The Jewish community and the majority society should be aware of this need. The Jewish heritage features a vast variety of forms, trends, and styles based on liturgical, traditional, cultural, and artistic diversities across Europe, on capabilities of particular communities and their constituent groups. Historical divisions between Sephardi and Ashkenazi Jews, between Polish Jews and the so-called Litvaks, between the followers of the traditional Ashkenazi rite and the Hasidic denominations, between Reform Jews and Orthodox traditionalists, between Jewish groups of ancient origins such as the Romaniotes in Greece and their Jewish brethren of other descents—all these influence the richness of the multifaceted Jewish heritage in which every gem is a treasure for all. Due to diverse historical paths travelled by European Jewish communities, not every community or group can develop and maintain its heritage with the same degree of success. The Sephardi Jews, expelled in the late fifteenth century from the Iberian Peninsula, built magnificent synagogues in Italy, the Netherlands, England, and the Balkans, while their achievements in the Polish-Lithuanian Commonwealth were far less impressive. The Jews fleeing to Amsterdam from the territory of present-day Ukraine in the mid-seventeenth century were initially seen by their Sephardi brethren as impoverished ‘Polacos’; nevertheless, they united with other Ashkenazi groups to create there prosperous communities possessing monumental synagogues. Reform Judaism, that originated in a secularly educated elite in Germany in the late eighteenth century, in one century became the mainstream among the Jewry of Bohemia and Moravia. Hasidism, once a ‘malicious sect’ in the eyes of the Austrian and Russian authorities, has attained an ultimate popularity throughout the Jewish world during almost three centuries of its history. The impact of these developments, as well as of less influential historical events formative to the Jewish heritage, was incomparably overwhelmed by the Second World War. Starting with the Kristallnacht of 1938, Jewish sacred buildings were massively desecrated, looted, burned down, destroyed, sold to the ‘Arians’, or disassembled. This practice was spread throughout other European countries by the initially victorious Nazis and their allies; moreover, it complemented the extermination of the Jewish people. This barbarian action had a tragic impact on the Jewish heritage in countries under the control of the Nazi coalition. According to the estimations of the Center for Jewish Art at the Hebrew University of Jerusalem, Belarus preserved only 135 synagogues (ca. 8% of their number before the war), Moldova – 27 (ca. 9%), Lithuania – 106 (ca. 11%), Latvia 38 (ca. 11%), and Ukraine – 474 (ca. 13%). 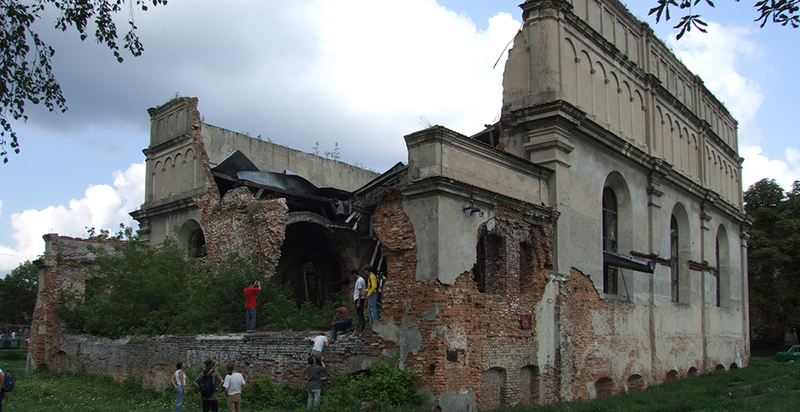 The situation was only slightly better in Poland and Romania, where the majority of the synagogues that survived the war were demolished during the post-war period under Communist rule: in Poland were preserved 356 synagogues (15%), Romania – 97 (17%), and in former Yugoslavia: Bosnia – 14 (35%), Croatia – 16 (19%), and Serbia 19 (15%). The situation was no different in Greece with its 20 preserved synagogues (22%). Further north and west, the losses were lower: Germany preserved 849 synagogues (35%), France – 190 (49%), the Netherlands – 124 (56%), Belgium – 10 (76%), the Czech Republic – 274 (44%), and Slovakia – 149 (63%), %), Bulgaria preserved 20 synagogues (71%). Conversely, in the United Kingdom the Jewish heritage did not suffer beyond the average of war disasters, with 66 percent of synagogues preserved. This also holds true for a number of European countries that remained largely unaffected by anti-Semitic upheavals. Unfortunately, the largest number of Jewish communities possessing a vast built infrastructure was concentrated in central and eastern Europe, where the losses were enormous. The post-war decades did not contribute to uniform treatment of the Jewish religious heritage in a divided Europe. Throughout the Eastern Bloc, the authorities suppressed Jewish religious life even in the modest capacity sustained by the believers. Of the hundreds of magnificent synagogues existing there before 1939, only a few dozens of comparatively fair physical state and demanding only moderate investment were refurbished in the post-war decades by the Soviet authorities. These structures served such non-Jewish secular purposes as cinema theatres, club houses, educational institutions, and warehouses. 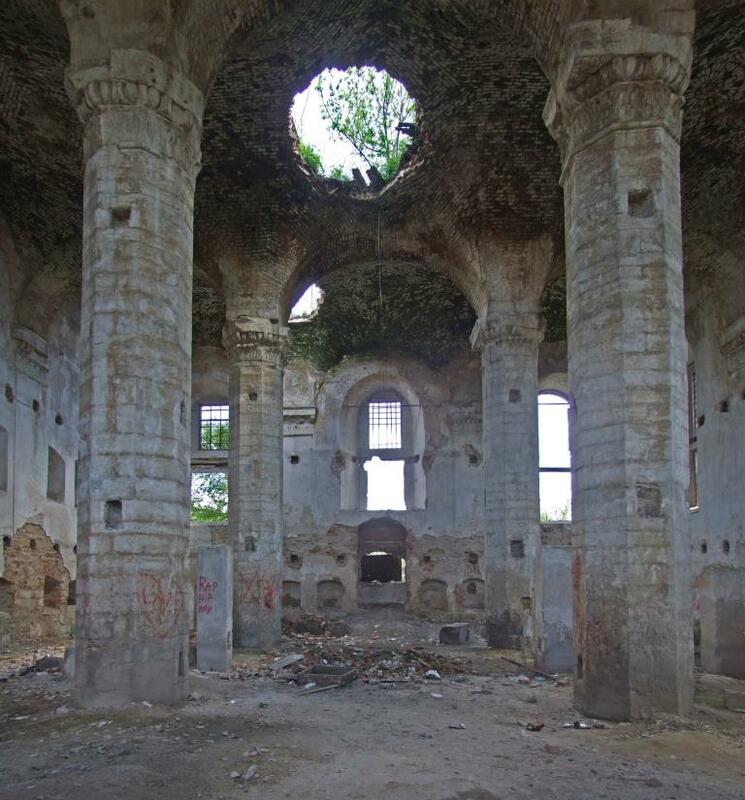 Some ruined synagogues were disassembled, others—of undisputable architectural and historical value—remain as deteriorating ruins even today (e.g., in Stolin, Brody, and Ostroh, Figs. 1, 2, 3). The Soviet authorities made every effort to prevent interference by any foreign agency in this field. With the collapse of the Communist system, the situation of the Jewish heritage in central and eastern Europe has improved, though not evenly. With support and advice from abroad, first came positive changes in the study and documentation of the remaining edifices. The following steps towards practical preservation were similar in most countries: the immovable property of the pre-war religious communities was restituted to the local Jewish religious communities, which at that moment were largely composed of newcomers rather than the heirs of those who had founded and owned the respective objects. In these decades Jewish communities received financial and organisational aid from abroad, as a rule from well-established denominations, mostly not identical with the pre-war congregations. The Habad and Karlin-Stolin Hasidic groups took under their wings numerous edifices which had been constructed by other denominations. The major criterion of success in such cases was the revival of Jewish life in a particular city, while the benefactors considered preservation of the local cultural heritage far less essential. 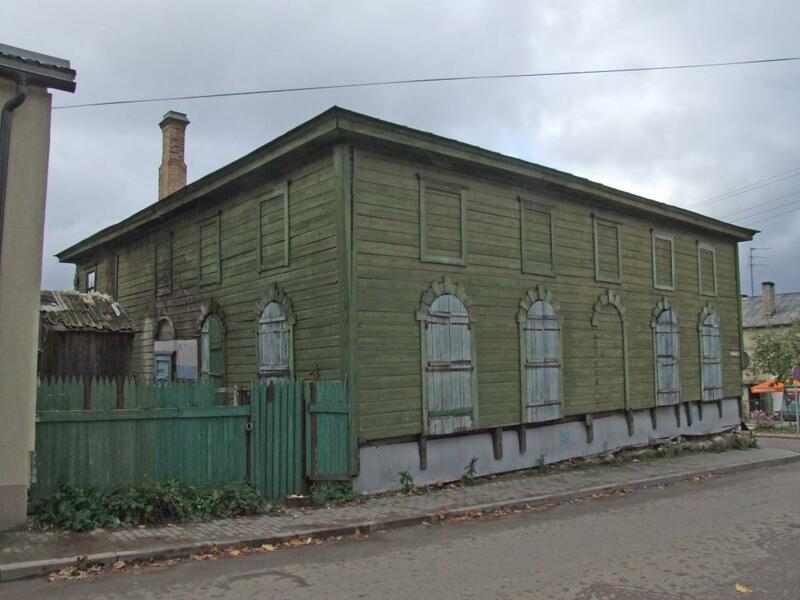 Alternatively, accurate professional restoration without religious patronage over a synagogue owned by a tiny congregation was, and is, at times possible through international sponsorship, as in the case of the ‘Green’ Beit Midrash in Rezekne, Latvia (Fig. 4). 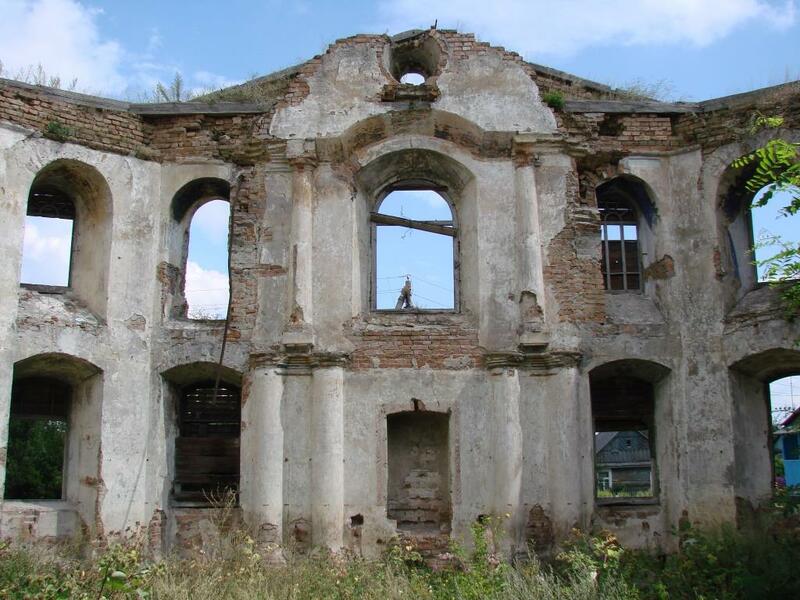 Under Latvian law, like in other countries of the region, the government may support conservation and reconstruction of such structures only to a limited extent, while most of the financing should be secured by the Jewish community. A few monuments of Jewish architecture in eastern Europe are undergoing reconstruction owing to the efforts of wealthy investors, the so-called ‘oligarchs’. In these cases, the decision-making and conservation policies are often shrouded in mystery, under which ‘faits accomplis’ are created in the field where independent expertise and broad public discussion, involving foreign descendants of the pre-war congregants, are indispensable. Reconstructed Great Synagogue in Sataniv (Ukraine) may serve as an evocative case of this kind (Fig. 5). The most problematic category of heritage preservation are those synagogues where no Jewish community could be re-established. At a certain stage these synagogues were claimed by national Jewish communities, with vague perspectives of maintenance, sometimes with premeditated thought of further merchandising, even as construction material or firewood. In other cases, synagogues were restituted by Jewish communities and then religious life was re-established there, but it turned out that the community is unable to provide the funding for maintenance of the synagogue. An outstanding case is the White Stork Synagogue in Wrocław (Poland), where the Jewish community conditionally allowed non-Jewish organizations to maintain the building and use it as a cultural centre for all citizens. 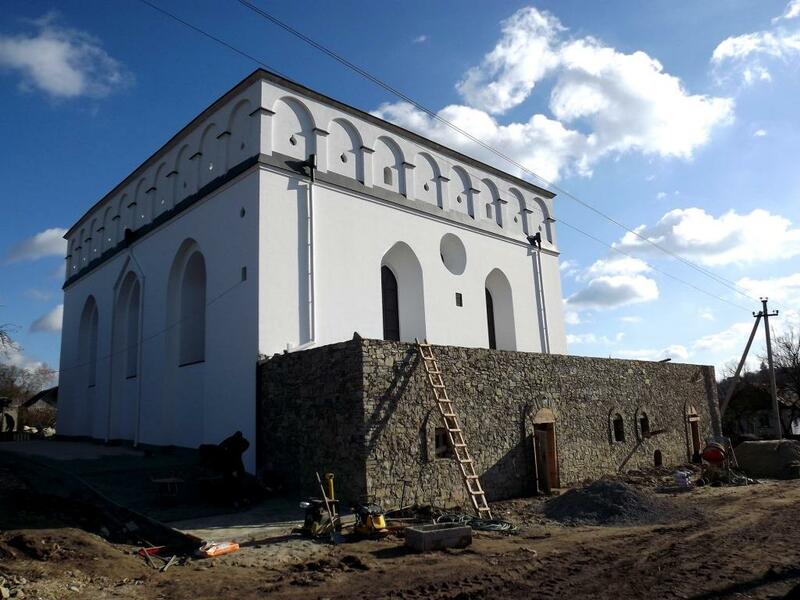 Restoration of dilapidated synagogues by non-Jewish society is successful in Slovakia: a modernist synagogue in Žilina, designed by noted German architect Peter Behrens and built in 1928‒31, then an abandoned cinema theatre, is being restored since 2011 by non-Jewish volunteers as a cultural space. Not only volunteers care about restoration of abandoned synagogues: in the Czech Republic a governmental plan for reconstruction of ten designated synagogues over a controlled period of time facilitates preservation of the Jewish heritage in accordance with established cultural priorities and conservation standards. Preservation of the Jewish heritage in Poland is of great interest, since that country was the home to the world’s largest pre-war Jewish community outside the U.S.A. and its subsequent losses were awesome. The positive change in attitude towards the Jewish heritage in Poland accompanies reformatting of the Polish-Jewish narrative, an open discussion of the split and shared collective memory, and as a result—of the destiny of the cultural heritage. Poland leads in governmental, public, group, and individual efforts, all facilitated by on-line social networks, for the preservation of Jewish historical buildings and sites. One of the recent projects is a grassroots campaign to return gravestones to destroyed Jewish cemeteries, in which numerous volunteers take part. Protection of the Jewish heritage in countries not affected by the Holocaust has its own problems. The Jewish population, which once had lived in cramped central urban areas, is resettling in suburbs and other prestigious neighbourhoods. As a result, the historical synagogues are no longer situated at walking distance from the Jewish residential quarters, and thus cannot be attended on the Sabbath and holidays. These abandoned synagogues are preserved as monuments only wherever public opinion demands such a policy and financial means could be acquired from beyond the narrow group of congregants. Otherwise, synagogues are razed, adjusted to other purposes, and are converted into churches and mosques. In sum, the Jewish cultural heritage is a unique and valuable component of European culture and its cityscape. Due to its complicated history, the Jewish cultural heritage demonstrates a great diversity of forms, is laden with multiple meanings, and faces a variety of existential problems. These problems could seldom be solved by a local Jewish community, by the present owner of particular objects. They demand the attention and care of local, national, and European society, Jewish and non-Jewish alike. This situation constantly draws the attention of experts: historians, art and architectural historians, museologists, conservators, architects, and urban designers. It challenges those Jewish descendants from abandoned localities who feel rooted there, who acknowledge the potential of specialized tourism, and who are seeking to improve the cultural landscape. * Dr. Sergey R. Kravtsov is a Senior Research Associate at the Center for Jewish Art, at the Hebrew University of Jerusalem. Born in Lviv, Ukraine, he was trained as an architect at the Lviv Polytechnic University. He received his doctoral degree in architectural history from the Institute for the Theory and History of Architecture in Moscow in 1993, and moved to Israel in 1994. He has published about 60 essays on history of urban planning and synagogue architecture; he has authored and co-authored three books. The Center for Jewish Art (CJA) is a research institute at the Hebrew University of Jerusalem, devoted to the documentation and research of Jewish visual culture. Established in 1979, it documented and researched objects of Jewish art in ca. 600 museums, private collections, and synagogues in 41 countries, as well as ca. 1600 synagogue buildings. Today, the Center’s archives and collections constitute the largest and most comprehensive body of information on Jewish art in existence. The CJA’s research and documentation is included in the Bezalel Narkiss Index of Jewish Art.